Irish homeowners continue to pay the highest costs in Europe for their loans, while savers here get some of the worst rates, according to official figures. The latest Central Bank survey showed the average rate Irish banks charge new customers for all types of floating rate mortgages stood at 3.22% in June. The rate rises to 3.56% when the large amount of so-called renegotiated or restructured home loans are excluded. The mortgage rate in the Republic compares with an average 1.81% banks charge new business customers across the Eurozone. In Ireland, mortgage rates for new customers, including renegotiated loans, has fallen by a meagre 9 basis points in the past 12 months. The decline stands at 30 basis points once renegotiated loans are excluded. Rates for variable rate mortgages fell 53 basis points to an average of 3.60%. Fixed rates for one to three years fell here by 26 basis points. On deposits, the rates banks pay customers for their savings have shrunk in Ireland and the eurozone. However, banks here pay savers 0.13%, compared with an average rate of 0.58% across the whole of the eurozone. Most Irish lenders this year have encouraged borrowers to switch to fixed rate mortgages from standard variable rates. Irish banks also say that around half of all mortgage borrowers here pay tacker mortgage rates of around 1% or less. Critics, however, say some banks persist in charging existing borrowers higher rates than those offered to new customers. “The reductions in the ECB rates have been passed onto depositors, but mortgage holders have not benefited to any significant degree,” said Brendan Burgess of the Fair Mortgage Rates Campaign. Rachel McGovern, chief operations officer at the industry group Professional Insurance Brokers Association, urged banks to offer “good” long-term rates of up to 20 years. The figures show “two thirds of all new mortgages issued in the year to June were standard variable rate arrangements points to a lack of proper long-term fixed rates in the market and shows how out-of-step Ireland is with its European counterparts, she said. The Central Bank said that banks sold new mortgage agreements of €417m in June and €4.5bn over the past year. The new business excludes renegotiated mortgage arrangements struck between customers and banks. 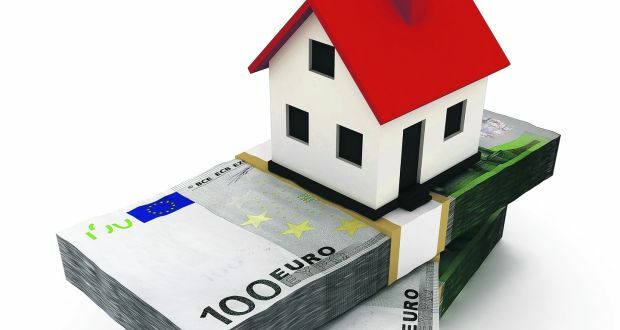 There was €300m worth of home loans renegotiated in June. The average rate paid by homeowners for their renegotiated mortgages stands at 3.03%, the figures show. Isme is calling for greater CCTV surveillance and more Gardaí. A survey of small and medium-sized businesses has estimated that crimes against business cost them €1.83 billion annually. The study by the Irish Small and Medium Enterprises Association (Isme), found that 31% of Ireland’s 245,000 SMEs were affected by crime in the last year, with an average direct cost of €6,570, a total of €499 million. Each of the 245,000 businesses, it found, spends an average of €5,428 on crime prevention measures, a total of €1.33 billion. The number of businesses directly affected by crime is down 5% when compared with the previous year’s survey, Isme said. Almost half of businesses in Dublin city reported crime, with 36% in Dublin county and 19% in Munster. Of those affected, 45% experienced more than two crimes. Retail businesses were most affected, followed by construction and distribution businesses. 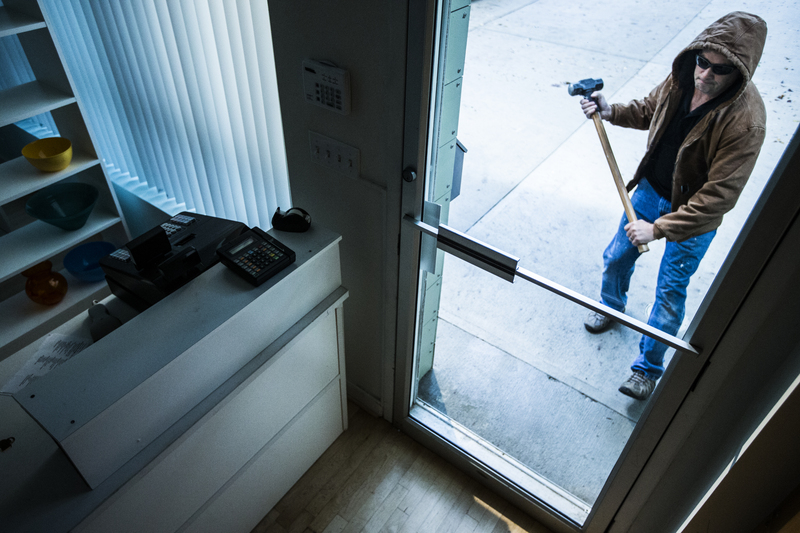 Almost a third of incidents were theft by outsiders, with 27% of incidents related to vandalism. About 62% of respondents were not covered by insurance, with about a fifth of businesses electing not to report incidents to An Garda Síochána. The survey indicated a low take-up of services provided by the Crime Prevention Office, with Dublin businesses most likely to use it. Isme has made 11 recommendations for reducing the level of crimes against businesses, including measures to properly categorise and define incidents, so trends can be better measured and analysed. The group also suggested a national forum on crime to propose solutions and share information, comprising members from the Garda, politicians and the business community. The association also called for greater closed circuit television (CCTV) surveillance and increased numbers of Gardaí. It also called for changes to data protection rules to allow businesses share CCTV. “The reduction of business crime is fundamental to business prosperity and is not being prioritised by government,” said Mark Fielding, the chief executive of Isme. He also claimed businesses have a “total lack of faith” in the criminal justice system. “Crime against business is often seen as victimless but it has a very real impact on SMEs and their employees. SMEs are particularly vulnerable to business crime as they lack scale and therefore they experience greater difficulty in absorbing the direct and indirect costs of crime,” he said. Allianz Insurer makes premium Advt ‘Dare To’ take a positive step? With the rising cost of insurance making headlines all this year, Allianz – one of the largest multi-line insurers in the Irish market – has launched its latest brand campaign called ‘Dare To’. Allianz Ireland has a turnover in excess of €450m and employs 1,450 people and is owned by the German-headquartered Allianz SE Group. Created by Rapport Marketing Communications and produced by production company Hot Sauce, the campaign aims to convey the positivity of the Irish economy and the people and businesses that ‘dare to’ make it tick over while at the same time demonstrating the peace of mind the company’s customers enjoy, allowing them to live life to the full. Second Garda denies a Mary Boyle cover-up? Mary Boyle went missing in 1977. A second Garda officer who contributed to a documentary about the disappearance of Mary Boyle has denied claims of political interference in the investigation of the case. Retired detective sergeant Aidan Murray, who featured in Mary Boyle: The Untold Story, has claimed the programme was “selective” and “misleading” in how it presented his interview. The documentary includes allegations of political interference and a cover-up in the original Garda investigation into the disappearance of the six-year-old child near her grandparents’ home in Ballyshannon in 1977. In a sworn statement to a solicitor, Mr Murray said that at no stage during his investigation into the disappearance of the little girl in Donegal was he subjected to “interference” or “pressure”. He said his two senior officers, a superintendent and an inspector, were “honourable and professional men” and “at no point attempted to influence” him in the conduct of the investigation. He alleged that the documentary had “taken a number of my comments out of context and creates the wrong impression”. Mr Murray’s comments echo those of his former colleague, retired sergeant Martin Collins, who also featured in the documentary, Mary Boyle: The Untold Story. Speaking to his local newspaper in Donegal, Mr Collins also denied any political interference. Both retired gardai investigated the disappearance of Mary, who was last seen walking across fields near her grandparents’ home. Both Gardai were interviewed for the documentary on Mary’s disappearance, made by the journalist, Gemma O’Doherty, who campaigned for an inquest and independent inquiry into the child’s disappearance. In their interviews, both retired gardai referred to a phone call allegedly made to Ballyshannon Garda Station. He also said he got a “nudge” from the inspector at the time to “ease off” when he was interviewing the chief suspect. The Mary Boyle documentary has had more than 140,000 views since it was broadcast on YouTube last month. Two politicians have publicly denied making the phone call to Ballyshannon Garda Station. The Garda Commissioner has now asked the Serious Crime Review Team to re-examine the child’s disappearance. Documentary-maker Gemma O’Doherty did not provide a comment for publication, when contacted. She has assisted Mary’s twin sister, Ann Doherty, and country singer Margo O’Donnell, who is a distant relative of the family, in their campaign for justice for Mary Boyle. Ann Doherty wants an inquest and is preparing a legal action to take to the European Convention on Human Rights, alleging malpractice by An Garda Siochana and the Government. The issue of alleged political interference in the case was raised in the European Parliament by Sinn Fein MEP Lynn Boylan and has been the subject of a number of statements by the party in recent months. Although diseases of the heart and blood vessels (cardiovascular disease, CVD) kill more people worldwide than anything else, with 17.3 million deaths globally, cancer has now overtaken CVD as the main cause of death in 12 European countries. New data on the burden of CVD in Europe for 2016, which are published today (Monday) in the European Heart Journal , show that in the European region (defined as the 53 member states of the World Health Organisation) CVD caused more than four million deaths each year, 45% of all deaths. However, success in preventing and treating the disease has led to large decreases in CVD in a number of countries. Despite cancer accounting for less than half the number of deaths than CVD in Europe as a whole, in nine of the 15 countries which were members of the European Union before 2004 (EU-15) and in another country that was among those that joined the EU afterwards (EU-28), more men now die from cancer than CVD. These countries are: Belgium, Denmark, France, Italy, Luxembourg, The Netherlands, Portugal, Slovenia, Spain and the UK. This was also the case in Norway and Israel (which are not members of the EU). Among women, more die from cancer than CVD in Denmark and Israel. In France, where cancer was first seen to overtake CVD as the main cause of death in men, figures from the most recent year available (2011) show that 92,375 men died from cancer and 64,659 died from CVD. In Spain, the next country in which cancer overtook CVD, 67,711 men died from cancer and 53,487 died from CVD in 2013 (the year with the most recent data). In the UK in 2013, 87,511 men died from cancer and 79,935 from CVD. “Although we have seen progress across Europe in the prevention and treatment of CVD, leading to decreases in mortality from it, it is clear that such progress is not consistent across the continent. With higher mortality from CVD still found in Eastern Europe and non-EU countries, it is clear that the progress that has been made in Western Europe and most EU countries is yet to be achieved equally throughout the region,” said Dr Townsend. Inequalities between European countries can be seen in the percentage of deaths from CVD and age standardised death rates (ASDR) – where the death rates per 100,000 of the population have been adjusted according to the proportions of people in different age groups in the population. Out of a total of 3.8 million deaths in the EU-15 countries, 33% of these were caused by CVD (1.3 million), compared to 38% of deaths in the EU-28 countries (1.9 million) and 54% of deaths in non-EU member countries (2.1 million). ASDRs from CVD ranged from 275 per 100,000 men and 174 per 100,000 women in France, to 1,444 per 100,000 men and 1,087 per 100,000 women in Kyrgyzstan. In the UK, the figures were 334 men and 228 women per 100,000. Similar inequalities exist for premature deaths (deaths in people younger than 75). In the EU-15 countries, 21.4% of premature deaths were from CVD (0.25 million); in the EU-28 countries, 26% were from CVD (0.45 million); and in non-EU countries, 35.8% were from CVD (1.3 million). For the first time, the researchers also report the number of years of life lost to deaths from CVD or years lived with disability due to the condition, a measurement known as disability-adjusted life years (DALYS). One DALY is equivalent to one year of healthy life lost. These also underlined the inequalities between different parts of Europe. The number of DALYS lost to CVD in 2012 were highest in Ukraine (194 per 1000 of the population), Russian Federation (181 per 1000), Bulgaria (167 per 1000), Belarus (163 per 1000), and Latvia (153 per 1000). They were lowest in Luxembourg (39 per 1000), Cyprus (37 per 1000), Ireland (35 per 1000), Iceland (32 per 1000), and Israel (26 per 1000). The authors of the study call for monitoring and surveillance of CVD in order to help countries in Europe work towards reducing the inequalities seen across the continent. “We need more research into why some countries are showing improved outcomes, while others are not,” said Dr Townsend. “Improved data need to be collected in all countries in order to make comparisons on deaths and suffering from CVD between countries so that health professionals and national governments can target interventions more effectively to reduce inequalities. The authors of the study point out that their research cannot explain the reasons for the patterns in CVD seen in Europe, because it is a description of the data on CVD in order to provide an overview of the burden of the disease in Europe. 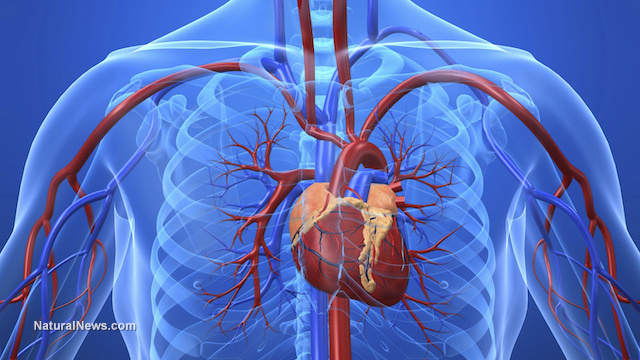 This study is the authors’ fourth consecutive report on CVD in Europe. Any comparisons with death rates in the reports prior to the one in 2015 should be made with caution as, for the 2015 and 2016 reports, the authors used the new European Standard Population (ESP) based on 2013 population data, which reflect the increase in the elderly population. Previous reports were based on the 1976 ESP. Fighter Wing Aircraft Maintainers were bemused when they found a swarm of honey bees hanging from the exhaust nozzle of an F-22 Raptor engine following flight operations at Joint Base Langley-Eustis, Virginia on June 11, 2016. Initially, everyone’s reaction was to run and find someone who could “get rid” of the bees, but Tech. Sgt. Jeffrey Baskin, 192nd Maintenance Squadron crew chief, knew that these honey bees were too important to exterminate. Maintainers notified Capt. Katie Chiarantona, 192nd Aircraft Maintenance Officer about the honey bee swarm. Since this had never happened on the flight line before, Chiarantona initially called the on-base entomologist to assess the situation. The entomologist immediately knew that he did not have the means to relocate the bees, so he referred Chiarantona to a local honey beekeeper in Hampton, Virginia. Andy Westrich, U.S. Navy retired and local bee keeper, arrived on base with the needed materials and supplies. According to Chiarantona, Westrich said the swarm was one of the largest he had ever seen. 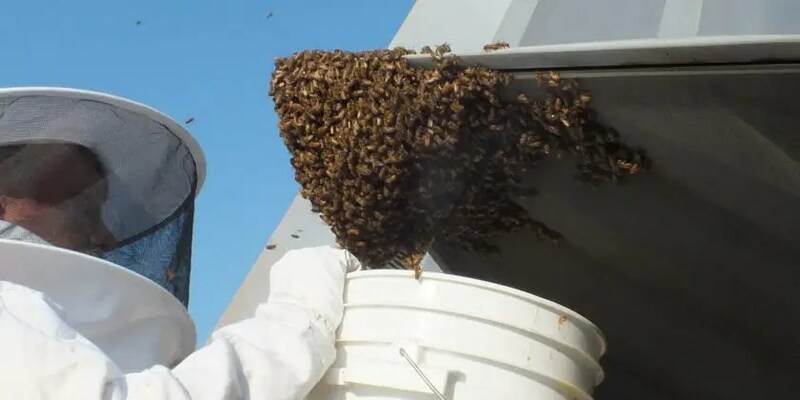 He was escorted to the aircraft and used vacuum hoses to safely corral the honey bees off of the aircraft into large buckets. He then took the bee’s home and found that, as a hive, they weighed eight pounds which calculates to almost 20,000 bees! Westrich suspected that the swarm of bees were on their way to a new location to build a hive for their queen. Queen bees typically fly with eggs to lay at the new hive and do not eat for up to 10 days before leaving to start a new colony. As a result, the queen is often malnourished for the journey. Westrich believes she landed on the F-22 to rest. Honey bees do not leave the queen, so they swarmed around the F-22 and eventually landed there. Westrich was able to safely relocate the colony to a local beer producer where they will maintain the honey bee colony and use the honey for their production facility. This entry was posted in Business, Health, Politics, Science and tagged Cancer, Costly, Criminals, F-22 Raptor, Gardaí, Grounded Jet, Heart disease, Honey bee swarm, Insurance, Interference, isme, Mary Boyle, Mortgage rates. Bookmark the permalink.